In 1985 Lynn chose the Kuvasz as “the perfect breed.” And we still find that everything about these dogs – their coat, their look, their intelligence and loyalty to their families are things that endear this breed to us. In 1990 we established Szumeria Kuvasz Kennel. We chose the name Szumeria because in Greek mythology, Inanna was the goddess of love and fertility from Sumeria, the alleged historical origin of the Kuvasz. Inanna was also one of our foundation females. During her show career she won two Kuvasz Club of America National Specialties and was the first female kuvasz to win an All Breed Best In Show in the United States. She also won a Best In Show in Canada. Her contribution to our breeding program lives on in our top winning dogs. 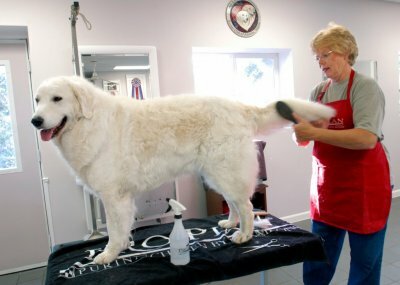 We dedicated ourselves to learning all things necessary to run an excellent Kuvasz kennel including grooming, conditioning, training, and breeding. We felt like sponges as we absorbed so much information in such a short time period, and still continue our quest to learn more and be of service to the breed. We have achieved a remarkable record as a result of the people who shared and those who continue to share their knowledge, experience and friendship with us, for which we will always be grateful. Our kennel is located on 20 acres of land in the Midwest and designed for the optimal comfort of our dogs. It includes large indoor/outdoor kennel runs, large outdoor exercise pastures, training and grooming facilities. A healthy, well adjusted dog requires abundant exercise, training, grooming and great nutrition and this is what we provide for our dogs. In keeping with our breeding philosophy, we selectively bred only our best to the best, incorporating the highest quality Hungarian lines. We base our selection process on characteristics as defined in the AKC Standard for Kuvasz. This includes strict consideration of temperament, structure and type. Obviously health is of the utmost importance and all of our dogs go through stringent health testing as well. All of these factors are inter-related with no single criteria being more or less important than another. We maintain membership in the Hungarian Kuvasz Club, in Hungary. We became members of the Kuvasz Club of America, the AKC parent club for Kuvasz, in 1991 and continue to be members today. Our service to the KCA includes President, Secretary, Board Member and various Committee membership. We are also members of the Northstar Working Group Club and Saint Paul Dog Training Club. We participate in a wide variety of Kuvasz-related events. 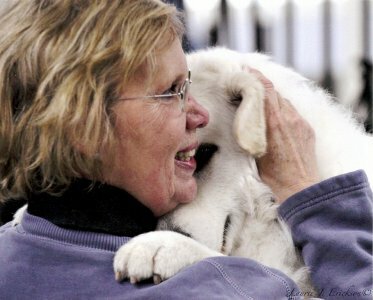 In 2002 and 2008 Connie attended the Hungarian Kuvasz National Specialty and World show with entries of over 100 Kuvasz. In 2008 she also attended the Hungarian Kuvasz Club, of which she is a member, annual meeting and presentation of stud dogs. Kuvasz breeders from Russia, Sweden, Holland, as well as other European countries discussed breeding issues. In 2007 our work was recognized by Purina, and we were featured in Purina's Today's Breeder, the only Kuvasz Kennel to have achieved this recognition. Today Szumeria dogs excel in confirmation obedience, rally, and agility performance events as well as being active Therapy Dogs. We are the breeder and/or owner of numerous Kuvasz successful in multiple AKC events. In fact the majority of Kuvasz to succeed in these events have been owned or bred by Szumeria. 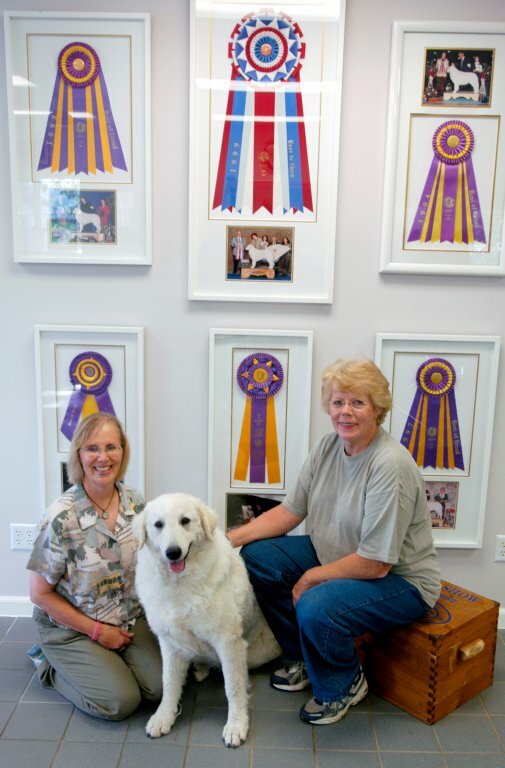 Szumeria Kuvasz Kennel has produced the highest number of Nationally Ranked dogs and Multiple High in Trial Winners. At the Kuvasz National Specialties, breeders bring the best dogs they have to compete against one another for the coveted honor of taking home the Best of Breed and class wins. 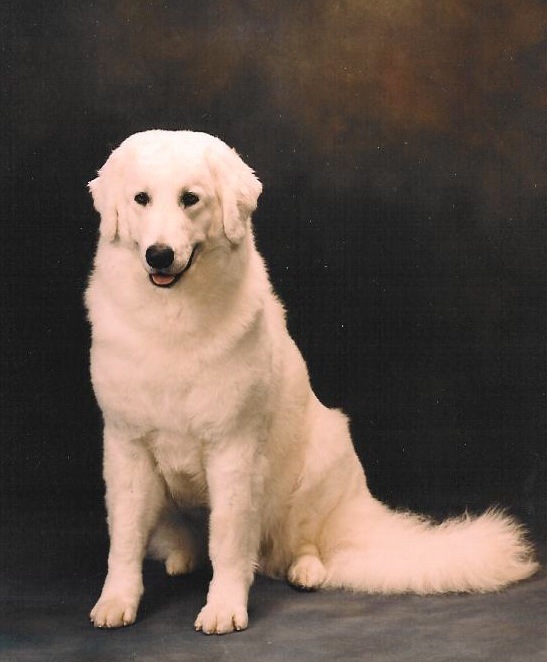 The first Kuvasz Club of America (KCA) National Specialty was held in Reno, Nevada in 1993. To date there have been 18 KCA National Specialties where Kuvasz from around the country come to compete against one another. Szumeria has bred and/or owned dogs which have won Best of Breed at 11 of the Nationals and High in Trial in Obedience at 5 of the Nationals, an achievement unmatched by any other Kuvasz Kennel. In 2012 we were honored when the American Kennel Club selected us to be the 2012 AKC Working Group Breeders of the Year.